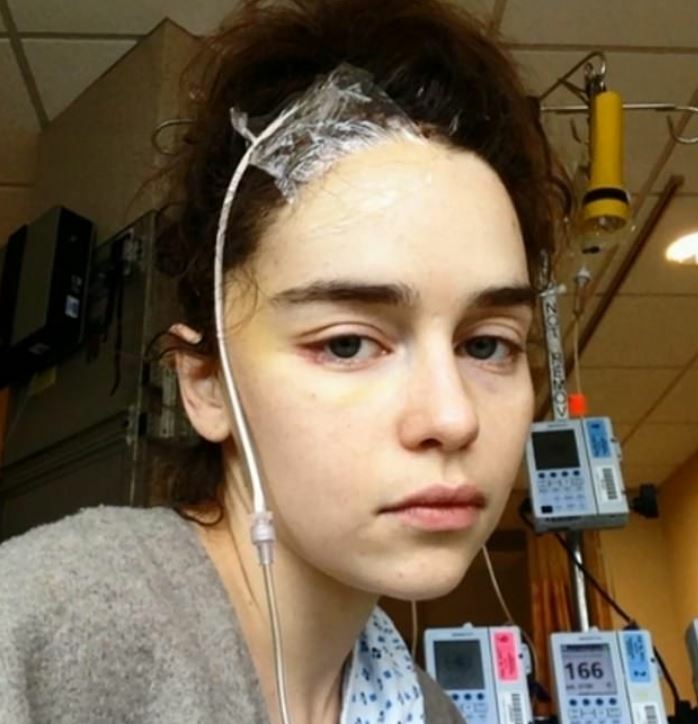 Game of Thrones star Emilia Clarke has shared photos taken in the hospital after she suffered a life-threatening aneurysm. 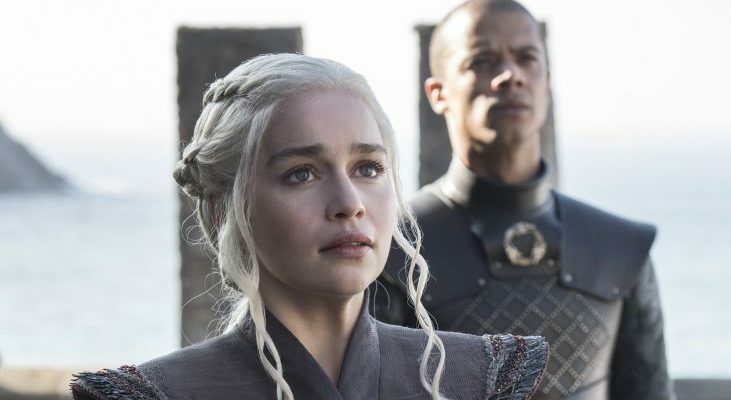 The actor, who was 24 at the time, was in the midst of a training session at the gym in 2011, after wrapping up the first season of GoT when she suddenly experienced a painful headache. Recalling her experience in The New Yorker, Emilia described the feeling as ‘an elastic band squeezing her brain’. It transpired the 24-year-old had suffered a subarachnoid hemorrhage – a bleeding on the brain – and she was told she had another brain aneurysm which could ‘pop’ at any time. The Game of Thrones star appeared on CBS Sunday Morning yesterday (April 7), where she spoke about her experience after having surgery, sharing previously unseen images from her time in hospital. She had surgery and returned to work just six weeks after suffering the aneurysm, but just two years after the first one burst, the actor was back in the hospital with another brain bleed. I had a massive bleed and the doctors made it plain that my chances of surviving were precarious if they didn’t operate again. In my worst moments, I wanted to pull the plug. I asked the medical staff to let me die. My job — my entire dream of what my life would be — centred on language, on communication. Without that, I was lost. The first time it was difficult, with the second one I found it much harder to stay optimistic. [I coped with it as] a day to day thing. I definitely went through a period of being… down – putting it mildly. Part of Emilia’s brain died after the second aneurysm, as it was starved of blood for more than a minute. I always say it’s my taste in men. For a very long time, I thought it was my ability to act…that was a deep paranoia. Emilia also spoke about what it’d been like to return to work following the initial aneurysm, revealing her role as Daenerys helped to take her mind off her health. You go on set, and you play a badass, and you walk through fire, and that became the thing that just saved me from considering my own mortality. 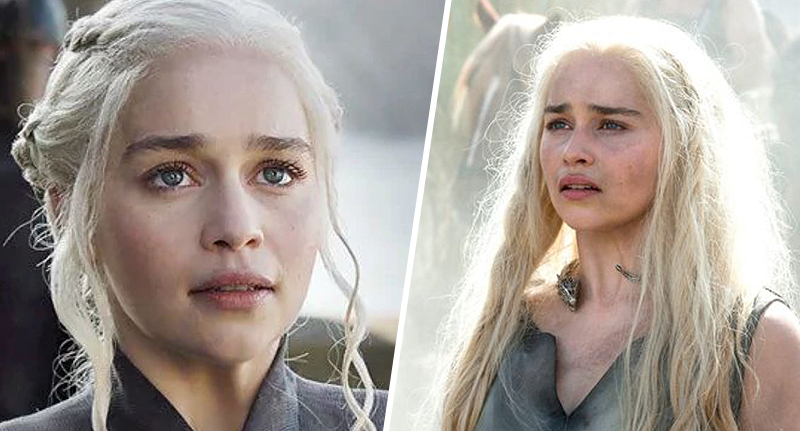 It’s truly incredible to think of the trauma Emilia was dealing while filming the iconic Game of Thrones scenes; she’s truly an amazing woman.